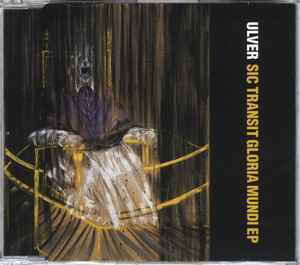 It's silly to fault Ulver for taking this meta-pop path and having every album be a complete departure, often a good imitatioon of some style that was or is, but damn. Frankie Goes to Holiywood? Okay. Sad to say, I personally would be no better off, no worse off, if they'd done nothing but the Teachings in Silence EPs (and combined LP). I know quite a lot of electronic music veering off into the left dark, but that record is one that doesn't remind me of any other... so, quite different from most of the other stuff I'd heard in at least two ways.